The Elephant Hotel, set in the bustling village of Pangbourne, beside the River Thames, minutes from the vibrant city of Reading, offers a return to the opulence of the Empire. 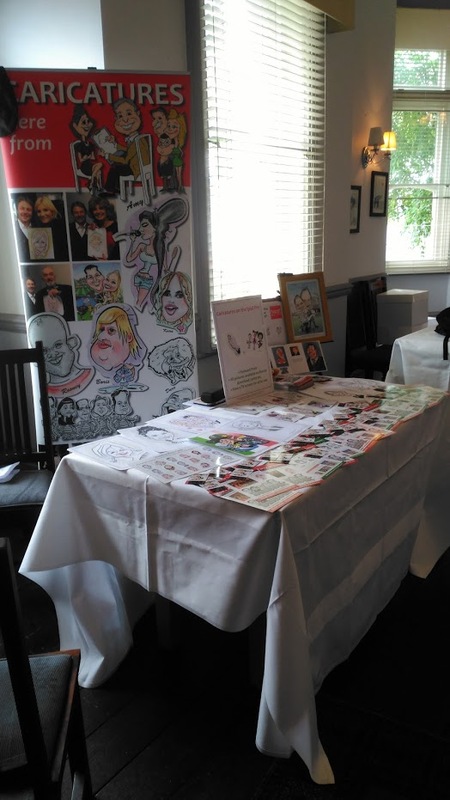 This was the scene for me drawing caricatures at a wedding fair which showcased what the Elephant Hotel can offer. I’ve worked here a few times and reports from the guests have always been very positive – so if you’re looking for a quirky location you should take a look it really is fun!